As women, we juggle. It’s something we just have to do. Rachel Rose Nelson, founder of Her Worth International, tells us about a tool/trick she’s incorporated into her life to keep everything moving. You are a wife and mom, seminary student, businesswoman and now you’re launching a nonprofit ministry. How do you balance all those priorities? Rachel: As the Apostle Paul says – with fear and trembling. Okay…maybe that’s a bit overly dramatic…but definitely with a lot of prayer. I start each day with a classic Christian discipline called the Daily Office. There are 5 steps to the practice I follow. In Step 1, I center myself in God’s presence. In Step 2, I write down every task that is rattling around in my brain that morning. I then pray over the items and allow God to speak. Usually, out of a list of 10 or more tasks, God draws my attention to 1, 2 or 3 of them as priorities for the day. These are His priorities and I honor them. It really has lifted a burden from me of never feeling “done.” And after months of this practice I can confidently say, everything has stayed on track even without me piling task after task on myself everyday. I also bring every area of responsibility before God on a seasonal basis, ready to release one or all, should He lead me to do so. For instance, during this season, I am stepping down from two volunteer leadership positions in our small city government. I maintained those positions during times when many people encouraged me to release them because of all the other things on my plate. But during prayer I felt no leading to let them go until right now, when I feel a gentle prompting to release them for a time. Certainly consider input from mentors and other key advisors. But a “balanced” life looks different to different people. Some will think you’re doing too little while others in other seasons of your life will think you’re taking on too much. Just remember God has a plan. He has your days already planned. So make sure you give Him the final word. What other practices do you recommend for prioritizing our responsibilities? Rachel: I recommend delegating and elevating your tasks. Ask yourself: What are you great at? What do you most enjoy? And on the flip side: What do you really hate doing that you’re currently responsible for doing? What is an area of weakness? Delegating and elevating to your full God-given potential means inviting people alongside you on your journey who can bolster you in your areas of weakness, so you can spend more time operating in your strengths. If you employ this practice, you expand your capacity to make a larger and larger impact, driven by your unique God-given purpose. This is the topic of Guideline 9 in a program I developed called The Pattern, an online course for faith-based entrepreneurs. It’s a real game changer. The wisdom of this practice became clear to me during the four years I lived in Bali, Indonesia. I went from being your typical middle class American mom, scurrying around covering all my personal and professional responsibilities, to…(wait for it)…having domestic help. I LOVED it! As the young woman who helped me around the house and I exchanged stories — her about life back in the village, and me about life back in America, she stopped me one day mid-conversation. And it hit me — we American moms have our priorities confused. It’s true, the economics are very different in Indonesia. It is much easier to hire full-time domestic help. In fact it is expected of Westerners. But I learned that having help made my life feel so much more balanced. I then realized I had unconsciously prioritized possessions over my own health and well being. Anyway, needless to say, I built that into my life upon moving back to the States. I don’t have a full-time housekeeper, but I do have help. And paying for it is easy because it takes a professional much less time (to do a much better job) and I can use that time savings to earn more income than I am paying for the service. Business people know this is the only path to growth in business. But I think it’s time women begin exercising the power of outsourcing strategically in both their professional AND personal lives to clear room to step into the place God is calling them. Daily Office Contemplation Cards – A set of 5 journal prompts toset your priorities each day. Guide to Outsourcing – A helpful step-by-step plan for delegating and elevating your tasks. The Pattern – An online course for building purpose-driven businesses. Are you ready to embrace the power of outsourcing to help you get your priorities in line? 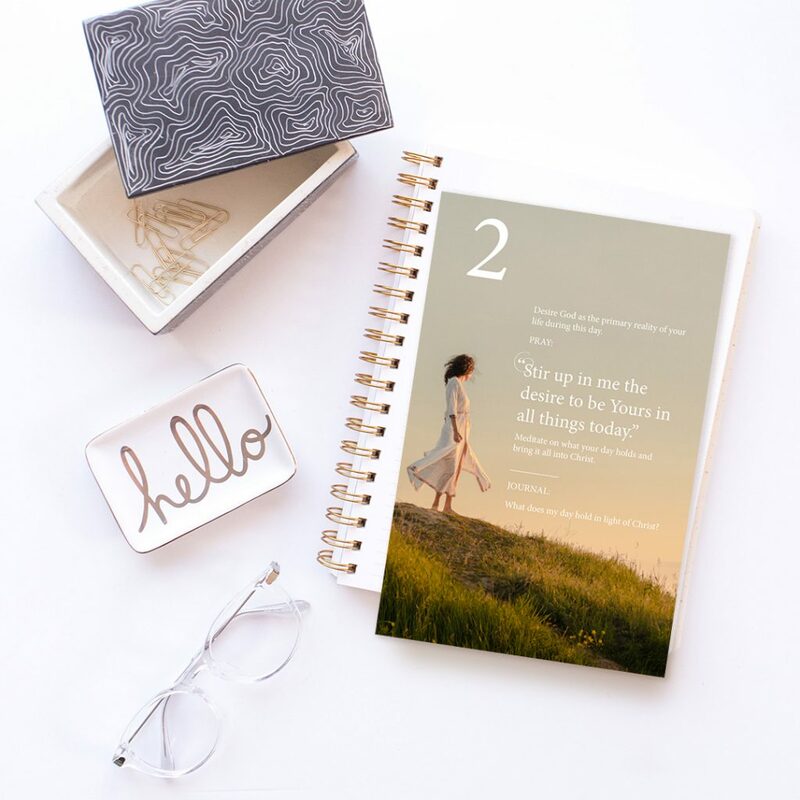 We encourage you to check out Rachel’s helpful resources and let us know how your life simplifies! Thanks Rachel! I am currently enrolled in “The Pattern” and it has been such a blessing! God bless you in your studies and in this terrific ministry! Thank you Bridget! It has been a pleasure seeing all the interaction from you and the other women going through. And today’s Guideline on Refreshing Our Schedules really dovetails with this post. So glad you found it here. So glad you found it helpful Lisa! And I love that it spurred conversation with your husband. It’s always helpful (and healthy!) to get on the same page on topics involving the way we spend our time and money.